With the increasing push to legalize cannabis in Western nations, there is a need to gage the potential impact of this policy change on vulnerable populations, such as those with mental illness, including schizophrenia, mood, and anxiety disorders. This is particularly important as there are strong motives in these individuals to seek short-term reward (e.g., “getting high”). 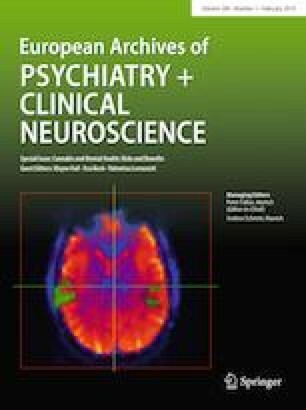 Nonetheless, data to support the beneficial effects of cannabis use in psychiatric populations are limited, and potential harms in patients with psychotic and mood disorders have been increasingly documented. This article reviews the effects of cannabis in people with mental illness. Then, we provide a reconciliation of the addiction vulnerability and allostatic hypotheses to explain co-morbidity addiction in mentally ill cannabis users, as well as to further aid in developing a rational framework for the assessment and treatment of problematic cannabis use in these patients. Ms. Lowe, Ms. Coles, and Ms. Sasiadek have no conflicts of interest in relation to this manuscript. Dr. George has been a consultant to NIH and the Canadian Centre for Substance Abuse, and has grant support from the Canadian Institute of Health Research (MOP-115145) and the National Institute on Drug Abuse (R21-DA-043949).